Colors are known to impact our mood. Hues of blue help calm, reds can get our heart going while oranges help deliver a sense of joy. It’s hard not to be happy on vacation, so add that same feeling into your home by adding some décor or furniture that reminds you of your favorite vacation destination. What are some of your favorite memories from your childhood? Bring them back, decorating a bonus room to remind you of your glory years. And maybe add a pool table. Pets are not for everyone and need a lot of work to take care of them. But adding this four-legged friend into your life can bring an amount of love you never expected. There is no rules to what works, just go with what brings a smile to your face. Add quirky objects to your garden like a tub or even a toilet and let them over flow with blooming plants. If you have a passion for music show it to the world or at least anyone who comes to your home. By displaying objects of your passion like guitars or pianos can inspire you to play more often and bring a smile to your face whenever you see them. 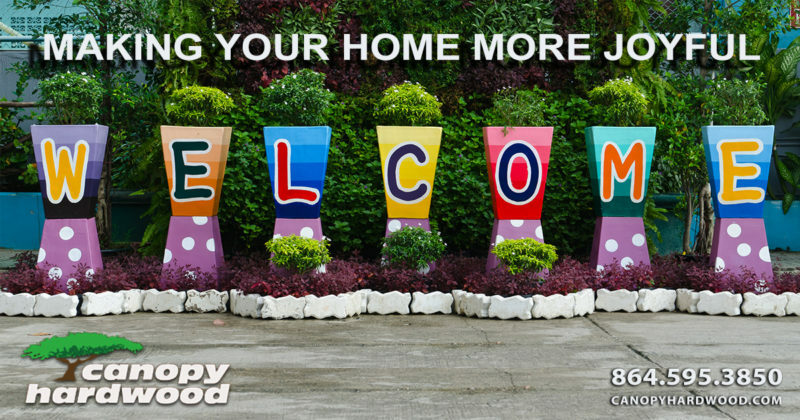 When you move into a home we typically use it in the same manner as the previous homeowner. But take a moment and think if you could switch up the rooms to something more functional to you. Don’t be afraid to add something that brings a chuckle every time you see it. Eating dinner outside can make any normal night one to remember. Or any type of flowers. Bringing bright flowers into the home can help bring more joy into your life. If you are not one for real flowers then bring in some fake ones to bring the same effect.